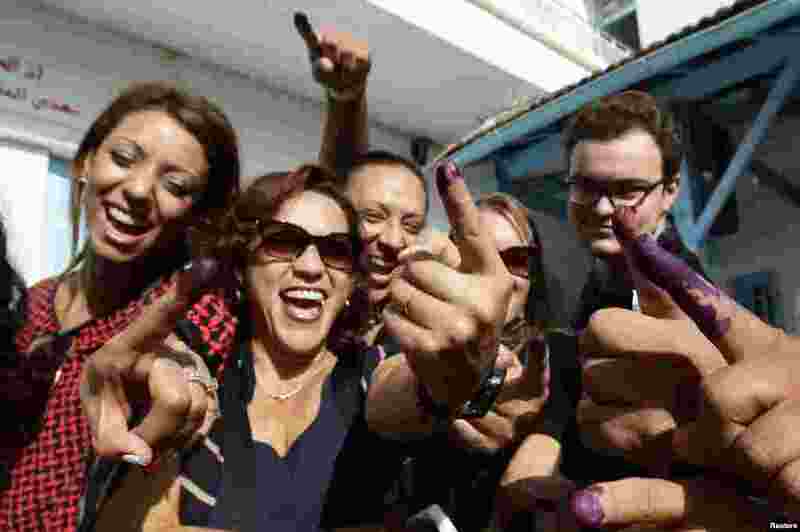 Tunisia's main secular opposition party is claiming victory in the country's historic election for a new 217-member parliament. 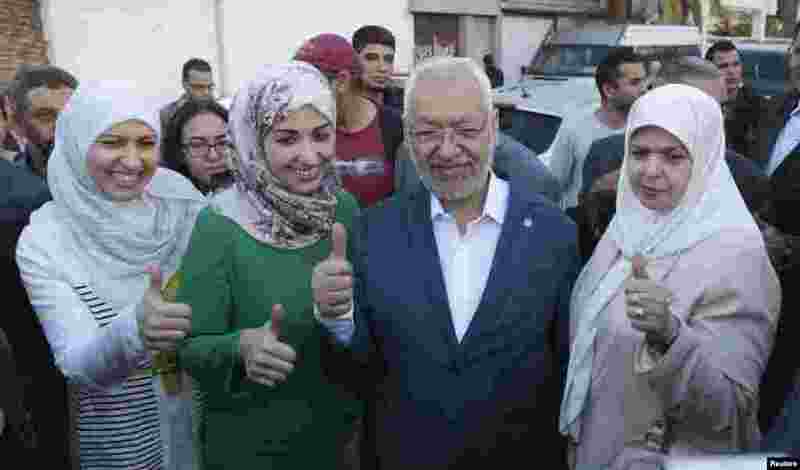 1 Rached Ghannouchi, leader of the Tunisian Islamist party Ennahda, gestures with his wife and two daughters Yousra (left) and Soumaya (2nd left) at a polling station in Tunisia, Oct. 26, 2014. 2 Tunisians show their ink-stained fingers after casting their votes, in Tunis, Tunisia, Oct. 26, 2014. 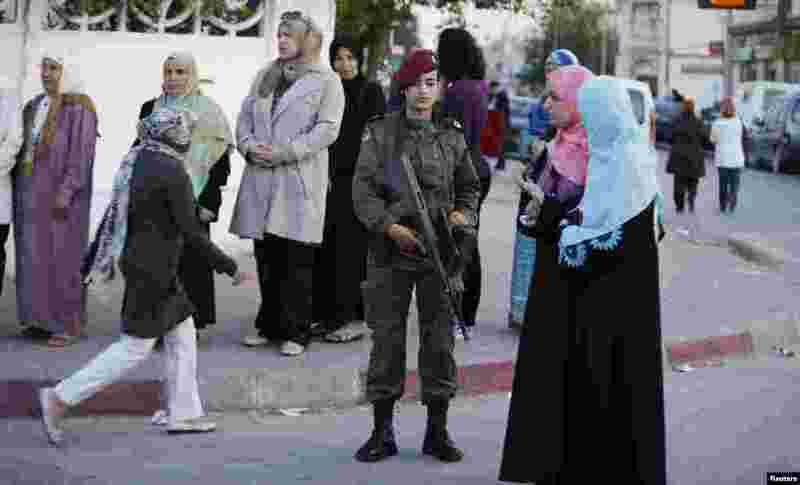 3 People stand in line at a polling station as they wait to cast their votes, in Tunisia, Oct. 26, 2014. 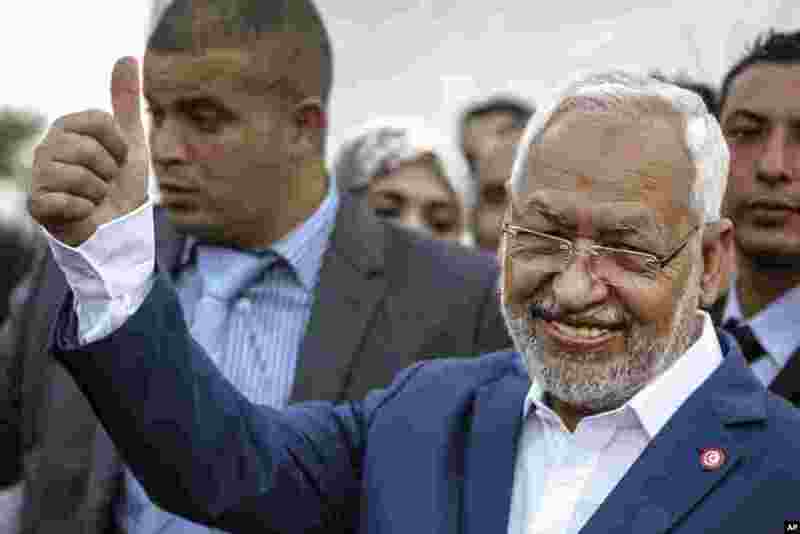 4 Rachid Ghannouchi, leader of the Tunisian moderate Islamist Ennahda Party, gestures before casting his vote at a polling station in Ben Arous, Tunisia, Oct. 26, 2014.